Welcome to the Penderbrook Community! Located approximately 20 miles west of Washington, D.C. and minutes from Dulles International Airport, Penderbrook has 1,776 homes, including executive style single family homes, townhomes, and garden style condominiums, built around a public 18-hole championship golf course. The golf course is open to the public. Penderbrook is comprised of 7 individual Land Bays; The Fairways, The Greens, The Heights, Inverness, Oxford House, The Mews and Penderbrook Square. The Penderbrook Community Association (PCA) office is located at 3704 Golf Trail Lane, Fairfax, VA 22033. Our numerous amenities include a clubhouse, fitness center, tennis courts, tot lot, basketball courts, swimming pool complex in addition to the Penderbrook Golf Course. Our community is located near the Fair Oaks Shopping Center, Fair Oaks Hospital, has easy access to Route 66 and is on a bus line that serves the Metro. The PCA has oversight of the overall common facilities and community amenities which include the clubhouse, fitness center, tennis courts, tot lot, basketball courts and swimming pool complex. In addition, PCA manages the true common ground and the Penderbrook Golf Course. NEW RESIDENTS CLICK HERE TO VIEW THE COMMUNITY WELCOME LETTER. The PCA semi-annual assessment ($394) is due on January 1 and considered late after January 30. Payment can be made by mail to Penderbrook Community Association c/o Cardinal Management Group, P.O. Box 52358, Phoenix, AZ 85072-2358 or by dropping your check off at the PCA Office. Checks should be made payable to PCA. Note that you should have received your invoice in the mail by now. Please contact Aneta Johnson at a.johnson@cardinalmanagementgroup.com or 703-565-5021 with any Penderbrook accounting questions. The residents of Penderbrook Square do not make separate payment to the PCA as their assessment is collected and paid for by their association Management Company. On behalf of the Penderbrook Management Team, we would like to extend to you and your families our very best wishes for a Happy New Year. The office will close at noon on Monday, December 31 for the New Year's holiday and remain closed on Tuesday, January 1. The office will reopen for regular business on Wednesday, January 2. Please call 1-866-370-2989 with any facilities related emergency. 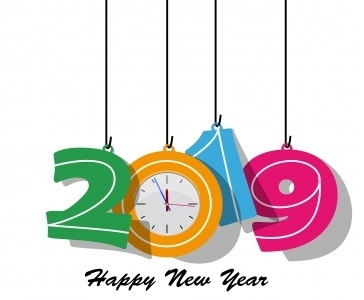 We look forward to serving you in the 2019. SUNDAY BRUNCH - EVERY SUNDAY!! Join your neighbors at the Penderbrook Golf Clubhouse for "Mulligans Sunday Brunches" every Sunday from 10 am - 2 pm. Please click here to view the brunch menu. The cost for adults is $14.99. The cost for children 12 and under is $6.99. Children 3 and under eat for free. Reservations are not necessary. It is never too early to plan ahead! Mulligans is now taking reservations for holiday parties! Mulligans also welcomes neighborhood and local clubs to come in and check out what Mulligans Pub on the Green has to offer. With a wide variety of services from business breakfasts and luncheons to specialty menus to that will fit the specific needs of your event, Mulligans prides itself on being able to fulfill all of our guests' needs. Please call 703-385-3012 or email georgetowncaterers@gmail.com for more information. Who knew you had it so good right in your own neighborhood!! The Penderbrook Community Association (PCA) manages the overall common facilities; clubhouse, fitness center, tennis courts, tot lot, basketball courts, swimming pool, and paths. The PCA does not manage any specific units within the individual Land Bays. If there is a problem with a unit (mailboxes, parking, trash, neighbors etc.) or a problem in an area of a Land Bay, consult the list below for the appropriate contact information. Please note that you can simply click on any email below to send a message. Click here to view this week's community email newsletter. Per Virginia State Law 55-509.4, every seller must purchase and present a "Disclosure Packet" (aka. resale package) to their buyer. If you live in Penderbrook, you need to order two sets of Resale Disclosure Packets when you sell your unit; one for the Penderbrook Community Association and one for your Land Bay association. The packet provides sixteen state mandated disclosure items including the HOA assessment and fees, outstanding HOA violations, governing documents, board meeting minutes, etc. For the Penderbrook Community Association, disclosure packets are distributed by Cardinal Management Group exclusively through www.homewisedocs.com. The site will provide further directions. The Greens, The Mews and The Heights are also ordered through www.homewisedocs.com. If you live in the Fairways, Inverness, Oxford House, or Penderbrook Square, please contact your management company for ordering instructions.